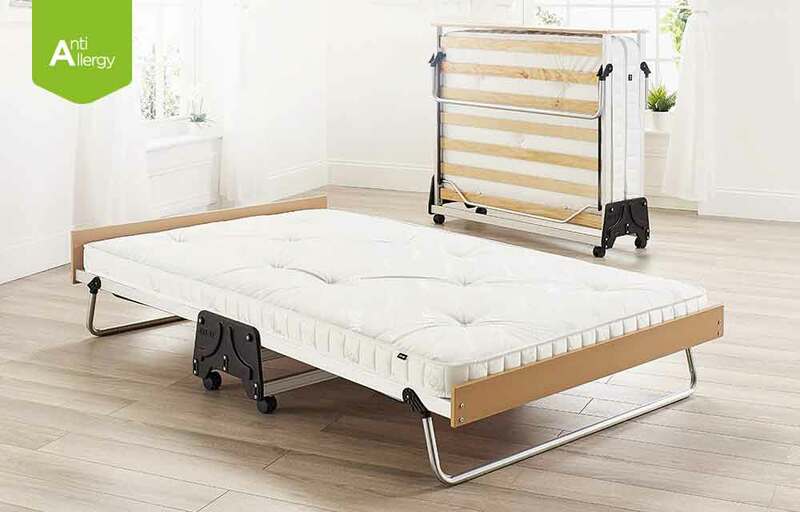 Created without compromise, the Jay-Be® J-Bed® Pocket Sprung folding bed brings together the most innovative technologies to create one of the most luxurious folding guest beds imaginable. 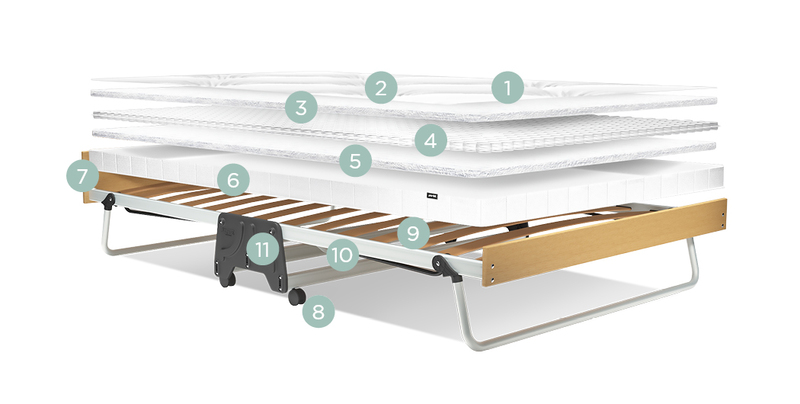 Made using the finest materials, the anodised aluminium frame is lightweight and sits on premium 360° castors which allow the bed to be easily manoeuvred and locked in place while in use. Precision injection moulded components compliment the stylish appearance while the exclusive J-Lok® folding mechanism enables effortless opening and closing of the bed, one side at a time. Resting on the sprung slatted base system, the luxury extra-long mattress embraces the latest patented Micro Pocket Spring Technology. Over 600 individual pocket springs are topped with sumptuous smartfibre comfort layers and each spring adapts to the contours of your body for exceptional support and comfort. The mattress is hand tufted and has an insulated border to secure the interior layers to maximise its long term durability. The breathable comfort layers are encased within the latest naturally treated Purotex® fabric which offers the added benefit of a fresher and cleaner sleeping environment by reducing the presence of dust mites by 89%. All Jay-Be® folding beds are made in the UK and come with a FREE lifetime frame guarantee for your complete quality assurance. The J-Bed® Pocket Sprung luxury folding bed utilises the latest patented Micro Pocket spring technology, for optimum comfort and full body support.